First and foremost, we'll help you understand the basics. 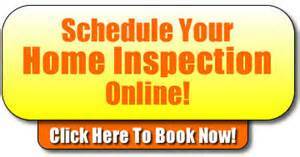 When looking to purchase property, a home inspection is one of the most crucial pieces of the process. Our inspectors will spend up to three hours thoroughly evaluating all aspects of your property, from the roof to the basement and all areas in between. 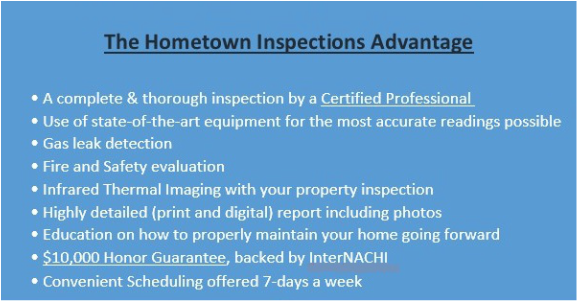 Second, by choosing Hometown Inspections, we'll not only inspect the property you're buying but we'll share with you what needs to be maintained to keep the property in working order and why. We highly value our customers and we want you to get the most out of your home inspection that you can. We encourage all of our clients to accompany us during the inspection process, though it is not required. This will allow you the opportunity to ask as many questions as you may have during your inspection. Our inspectors will guide you step by step, explaining what they see or disco﻿﻿ver while on site. Simply, call us at 567-202-4646 today and we will help you make an educated decision on your dream property purchase. Hometown Inspections is a top Columbus Grove, OH home inspector on Inspectopia.com!